Synopsis: Young Victor conducts a science experiment to bring his beloved dog Sparky back to life, only to face unintended, sometimes monstrous, consequences. Thoughts: As someone who has seen the first trailer in front of pretty much every movie in the last five months let me say that I welcome this new Frankenweenie trailer with open arms. Here we get new scenes and more of a look at the ensemble of characters director Tim Burton has assembled for this October release. 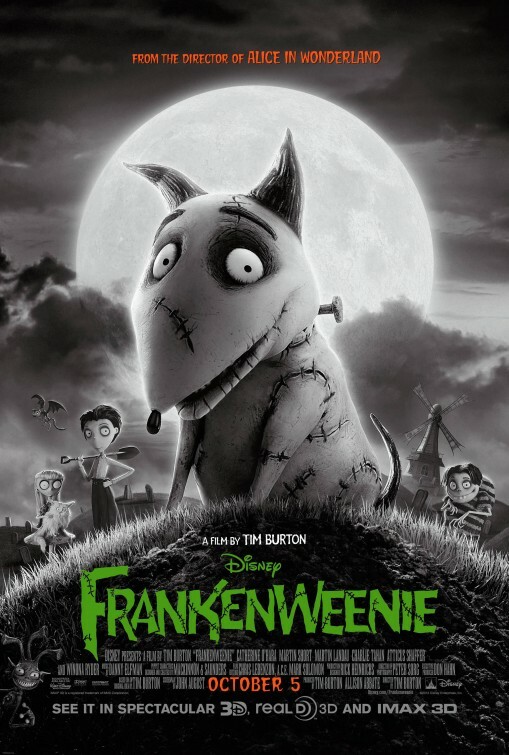 I still fondly remember the original live-action 80’s film Burton made of Frankenweenie and will be interested to see what a bigger budget and better resources will bring to his delightfully macabre fairy tale.